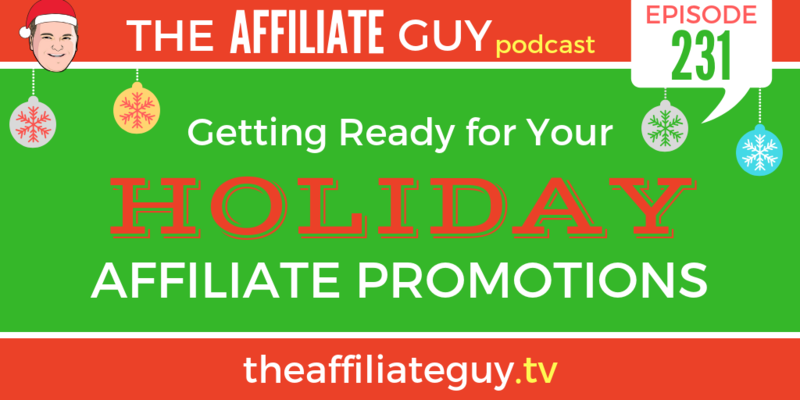 Were kicking off a brand new series on The Affiliate Guy podcast and its all about the holiday season.Listen and up rock this holiday season! .We have a 12-part series...yeah, thats right TWELVE PARTS...full of strategies, tips, and tricks for making the most of your affiliate promotions this holiday season! Top affiliates can make 30-50% of their entire years revenue in just a few weeks...if they follow this plan.